Design various types of PCB:Construction 3D models Impedance controlled Designs with delay matching, Stack-up and material selection. Single-sided, double sided and multi layer printed-circuit-boards. Multilayer printed circuit boards with BGA-packages, with blind and buried vias. 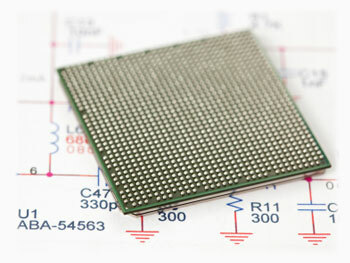 Multiple Fine pitch BGA (0.5mm) of high pin count per chip (512). Assistance in PCB manufacture and mounting. 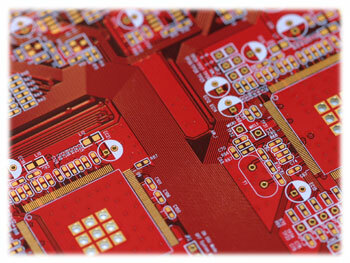 Process of PCB design is done in several stages. During the whole design cycle, we continuously interact and get confirmations from customers before proceeding to the next phase of design process. Although we are not certified by IPC but we make sure that the development is carried out in conformity with IPC standards. To start working on a PCB design we require from the customer minimal initial data in the form of electric circuit scheme, the list of components and requirement specifications.Creation of component libraryWe form component libraries as per JEDEC or IPC norms as applicable. We arrange the components according to the requirement specifications provided, fix components with rigid arrangement. According to the possibilities/requirements we can make a proposal for changing PCB dimensions. At this stage we can provide the client with a design image for conforming design requirements by dimensions and component placement parameters. Implicit requirements (additional plug connectors, additional test points or test sockets, etc.) are discussed and changes are done as required. We perform final placement of elements, optimize connections, set traces parameters and layout rules, define number of layers and perform trace routing (wiring). If required, we can calculate characteristic and differential impedance. If necessary, we can model transient phenomena in circuits, analyze signal integrity, electromagnetic compatibility (EMC), thermal modes. Company's technical experts perform additional control which minimizes the probability of mistakes. The complete set of the PCB design documentation including mounting drawing, specification and PCB drawing according to the customer's requirements. You can order PCB layout design separately or as part of the full cycle of electronic device development.